The dangers of smoking are well known – it is one of the biggest causes of death and illness worldwide. Quitting smoking can be challenging. 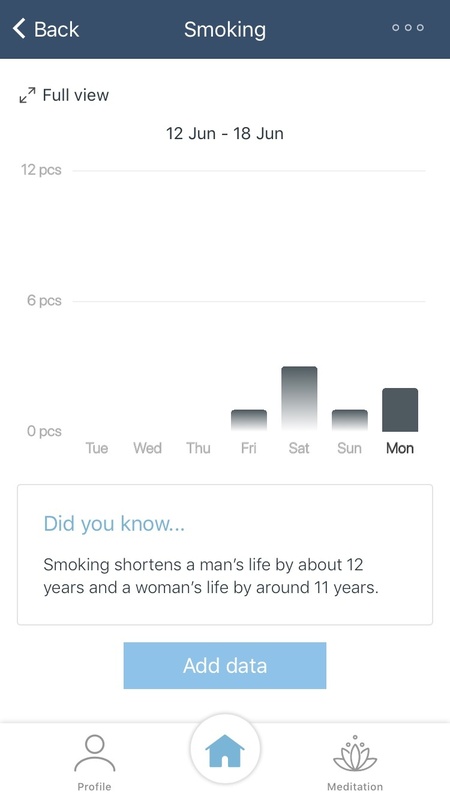 In the Deeph app, you can manually add the number of cigarettes smoked per day/week. The visual interpretation of this data, provided by DeepH, can help you cut down or even quit.